"I highly recommend The Box of Beauty�to Local Mums. Lisa does a fantastic job making my nails & lashes look fabulous every time and I am always impressed with the service." 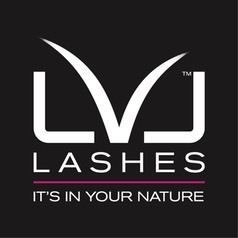 "I recommend�The Box of Beauty�to all Local Mums.�Lisa does my lashes and feet. I love the way my lashes look so natural and I don't have to worry about putting mascara on. The Bio sculpture lasts for weeks on my toes without chipping, so they're always looking great!" The Box of Beauty offers a comprehensive and professional range of beauty treatments all at competitive rates.�Beauty treatments include Bio Sculpture and OPI Gel Nails, semi permanent eyelash extensions, Xen-Tan. The perfect solution for beautiful nails...Unlike vanish that chips and peels, Bio Sculpture is a durable Gel that is applied to your natural nail. The Gel is cured under a UV light to give it a strong, flexible, glossy finish which lasts up to three weeks.�It is a highly-protective, long-wearing, chip-proof gel that is easy and quickly removed with no damage to the natural nail. Iconic OPI colours in a new gel formula means you can now have your favourite OPI colour lasting up to three weeks!�OPI's shine intense shades cure in only 30 seconds under an LED lamp, giving you a chip-free and high-shine finishn for up to three weeks. Semi-permanent eyelash extensions are the perfect way to give you longer, thicker, fuller lashes.�With many different lengths, curls and thickness of lashes you can achieve a more natural look or a bit of va-va-voom! Lisa, who runs�The Box of Beauty, says: "I take great pride in what I do and it's so important that each client is happy with the treatment and service they've had with me. I don't cut corners like some nail and lash therapists do. I'm fully qualified and insured, I only use the best professional products which I have tried and tested and most of all...trust! "I offer a loyalty card where you receive a stamp for each treatment over �20 and once you have collected six stamps you receive 25% off any one treatment!"